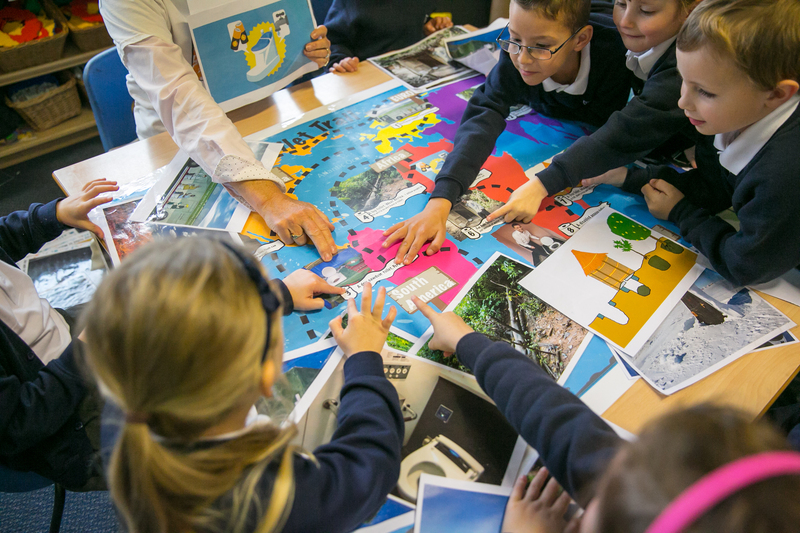 Hands UP is a volunteer-led programme that encourages schools and communities in the Peak District to engage with global issues. Village Aid is the Peak Districts international development charity, from rural England to rural Africa, we believe in people working in partnership to bring about lasting positive change. Our schools programme, Hands UP, is built on the belief that young people in the Peak District have a critical, active role to play in the fight against poverty and inequality. You might remember our hugely successful schools programme ‘Growing Global’ which ran until 2009. This year, we are back with our new programme, ‘Hands UP’. With the support of our partner organisation United Purpose, Hands UP works with young people in the Peak District to build knowledge of global issues, ‘bigger than self’ values and the leadership skills needed to build a fairer, healthier and more sustainable world. Hands UP is a free programme for schools in the Peak District and we are able to consider schools in Sheffield and Derby too. We have three workshop topics, all of which are global issues and promote leadership skills in the children we work with. More suitable for Key Stage 1 ages, Hygiene Heroes aims to improve and encourage healthy behaviours, develop global perspectives and learn about the importance of handwashing. This workshop teaches children about the effects of climate change around the world and how we can protect the planet and equips the students with public speaking skills and critical thinking abilities. This workshop investigates the global similarities and differences relating to food, teach the children the impacts of wasting food and encourage children to change their behaviour regarding food waste. This is an opportunity to join part of an innovative programme where you will be working with an enthusiastic and motivated team of like-minded volunteers to work with schools on programmes that address local and global issues. At Village Aid, our schools programme is supported by our partner charity United Purpose. We want to expand and develop their programme into the Peak District. Our aim is to develop relations with local schools where projects will focus on global health, sustainability and leadership projects to support and nurture the next generation of global citizens. We need to expand our team of volunteers to join us in achieving our goal. We will provide training and expenses to help develop you into one of our fully trained volunteers. You will be able to become part of a team that are working together to expand the reach and impact of our work across the county. We are looking for volunteers with experience in teaching or an interest in education to help us deliver and promote our schools project locally. We ask for a minimum commitment of three workshops per term, with opportunities to get more hands on with strategies development. We will provide training, resources and materials to support you through your volunteering. We are looking for passionate, positive and enthusiastic people to help us inspire the next generation of global citizens!